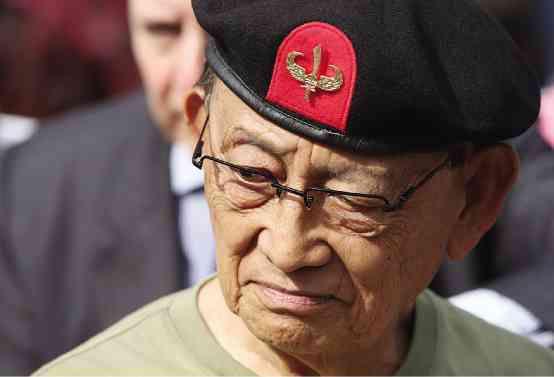 DAVAO CITY – Former President Fidel Ramos on Saturday said he had accepted President Rodrigo Duterte’s offer for him to become the special envoy to China. Speaking to reporters here after his meeting with Duterte at the Marco Polo Hotel here, Ramos said he was now physically fit to take the job. “I have been cleared by my doctors at the Makati Medical Center,” Ramos said, who admitted that he suffered from three serious ailments – including one that impaired the flow of blood to the brain. He said he also wore a pacemaker, he said. But Ramos said he is now well and even jumped to the air to drive his point. He also gripped this reporter’s hand to show his strength. The meeting took place a few days after Duterte named Ramos as special envoy to China. Ramos earlier said he wanted to clarify with Duterte what his specific role would be as special envoy to China. Ramos also said being special envoy does not only entail going to China and talking with its leaders, especially in the wake of the ruling on the West Philippine Sea. When he faced reporters, Ramos made little mention of what his specific role would be. But he said the West Philippine Sea issue would be tackled in his meetings with senior Duterte officials. “I said before that there should already be a National Security Council,” he said. Other officials present at the meeting included Presidential Peace Adviser Jesus Dureza, National Security Adviser Hermogenes Esperon and former Presidential Assistant for Mindanao Paul Dominguez.